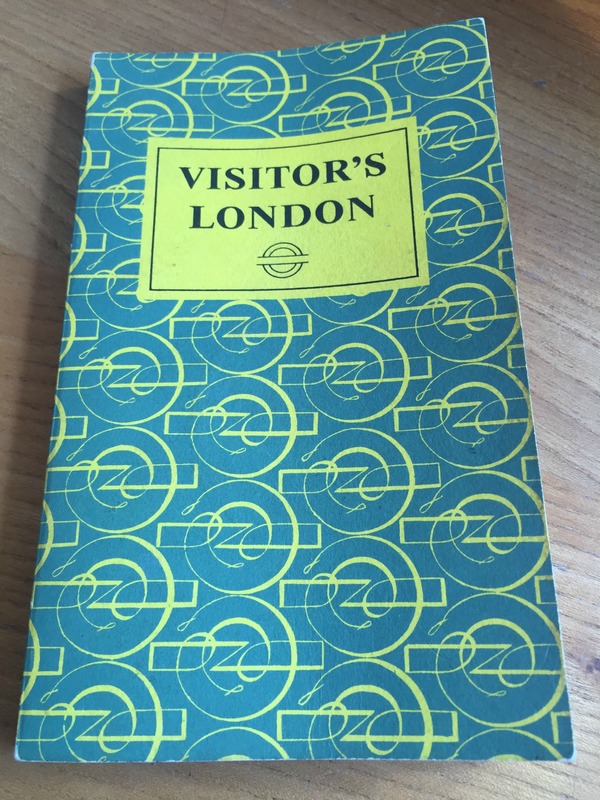 There haven’t been anywhere near enough vintage books on here recently so let me try and rectify that situation with one of my recent car boot sale finds – Visitor’s London. Whenever I go to a car boot sale or charity shop there are certain things that I am always looking out for. Ladybird Books is one such category, but not at all the only one. B and I have numbers collecting habits so we’re just as likely to be seeking out vintage toys and games or transport related bits and pieces. The further away from London you get the less you see with the familiar London. Transport (or TfL) roundel on it, but there is still treasure to be found and Visitor’s London is one such gem. 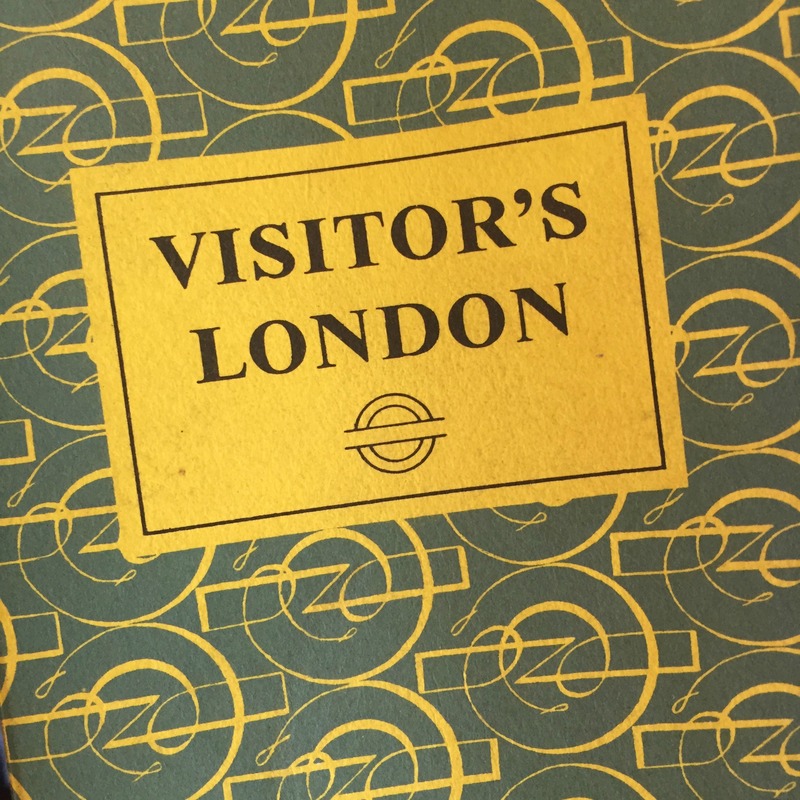 It was the roundel under the title on the front cover that first drew my attention to Visitor’s London, and then I spotted the slightly jazzy roundel used as the background on the rest of the book. Written by Harold F. Hutchison Visitor’s London describes itself as “an alphabetic reference book for the visitor to London who wishes to also see something of London’s countryside”. Published by London Transport it seems that the first edition of this came out in 1954, with the 13th edition that I have found being published in 1967. In fact, it seems that a new edition was brought out in every year except 1961. 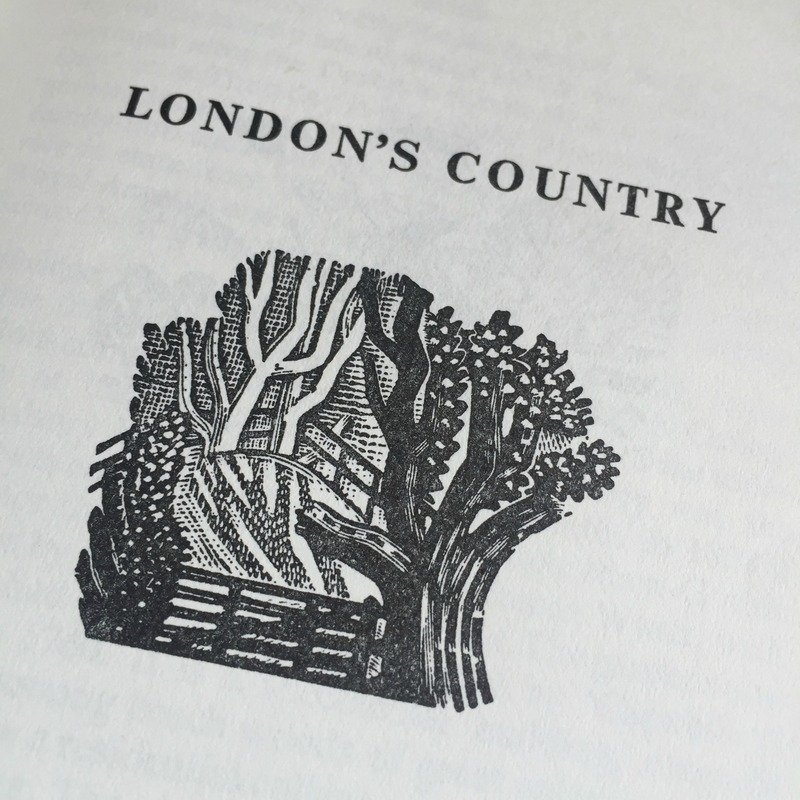 The book itself is split into two sections: London and London’s Country. The first being an alphabetic list of places in London and the second being tourist attractions further afield. 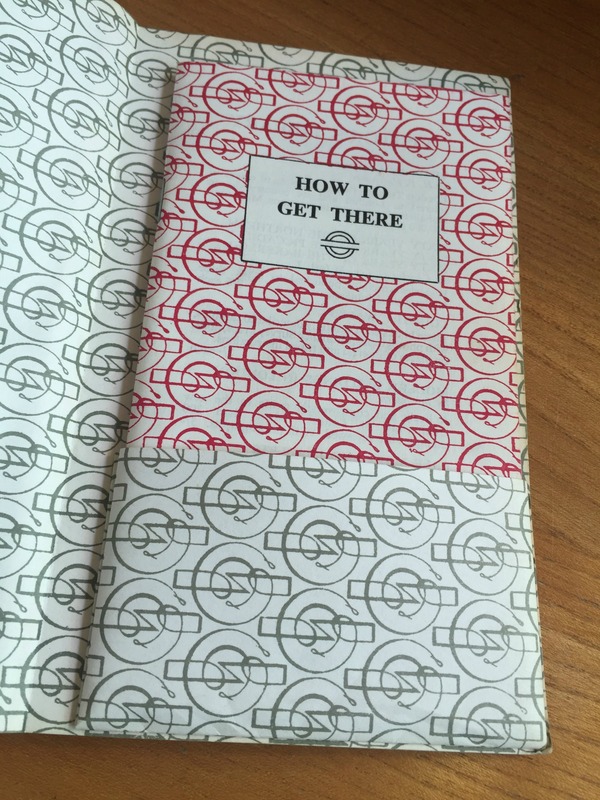 Possibly the most exciting part for me is the How to Get There booklet that is inside the back cover – again in perfect condition. Dated clearly on the cover as 1967 (and priced at 1/-) this little booklet contains the addresses, opening hours, prices of admission and routes for all the destinations featured in the main book. At the back is a fold out colour version of Beck’s Underground map showing the network as it was at the time. 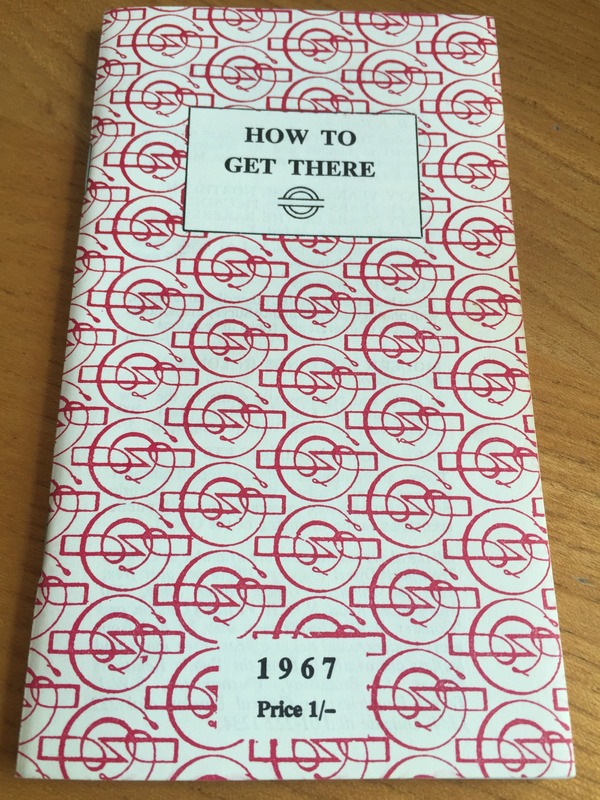 The Victoria line, Hammersmith and City line and Jubilee line obviously didn’t exist back in 1967. Although you can see the second branch of the Bakerloo line, which went on to become the northern section of the Jubilee line and also the Baker Street to Hammersmith section of the Metropolitan line. Also marked as a branch of the Northern line is the section from Moorgate to Finsbury Park, that is now sometimes known as the Northern City Line and no longer part of Transport for London’s infrastructure. 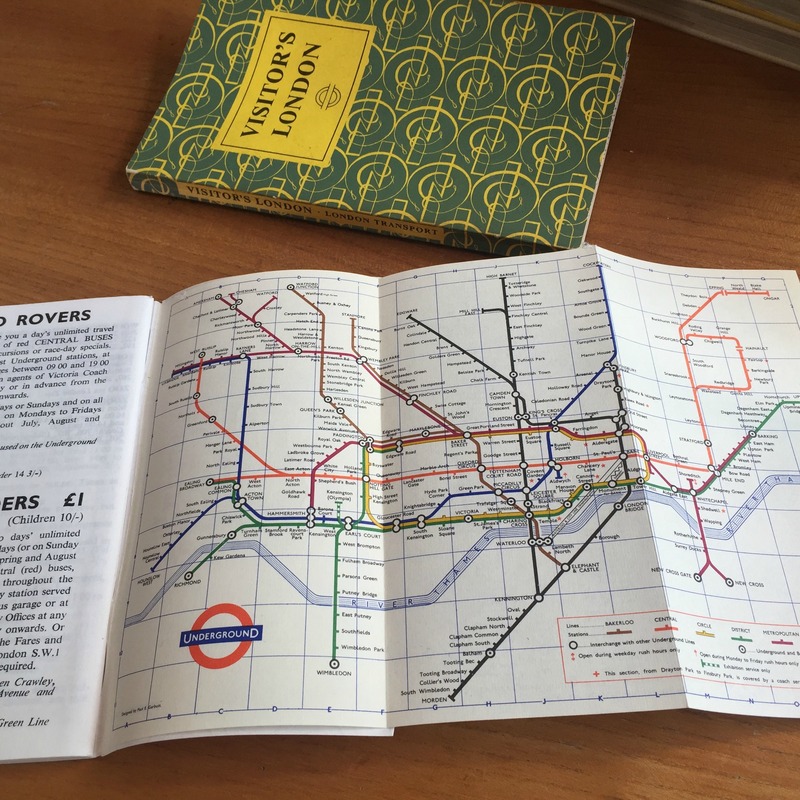 The book as a whole is a gorgeous slice of London Transport history. 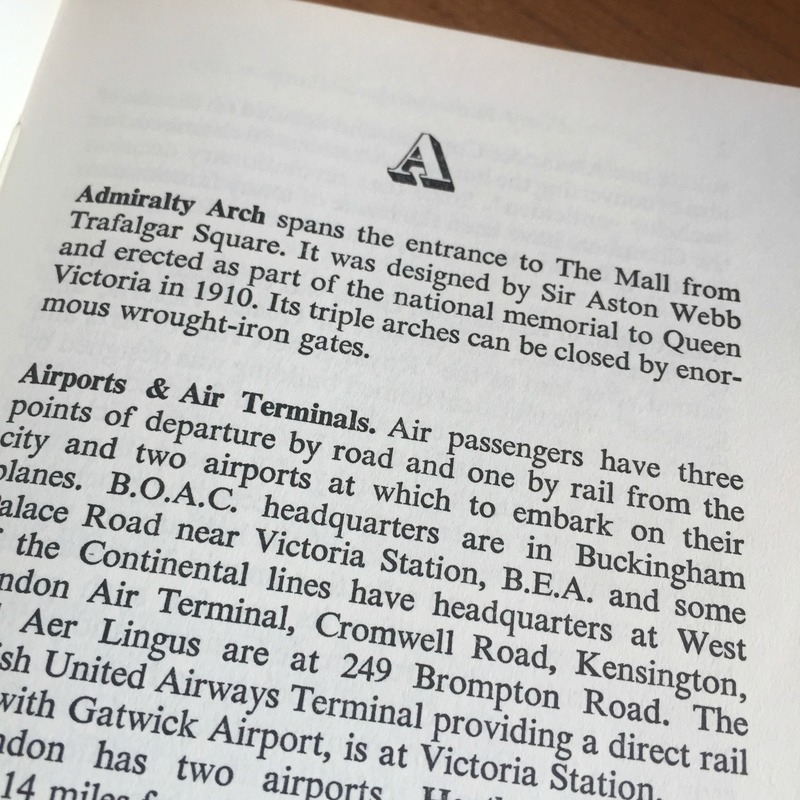 There is reference to an earlier edition of such a book on the London Transport Museum website where there is a catalogue entry for a poster called Visitor’s London and the text there talks about an alphabetical guide which I am guessing is an earlier version of the same book. It might have been the only bit of London Underground treasure that I found at this particular car boot, but bearing in mind that it, and a pile of six vintage cook books cost me only £3 I’m pretty damn pleased with my find! The weather here in the UK is freezing cold at the moment, so I’m letting myself think about things further afield and taking a trip with the Ladybird Travel Adventure series to India. I originally came across series 587 when I found Book Three which takes the reader to the USA, and since then I’ve also managed to add Flight Two: Canada to my collection. 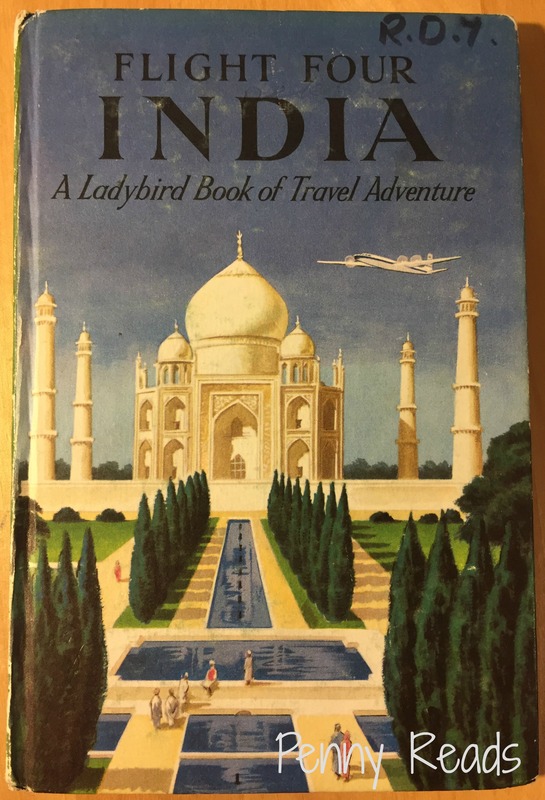 Flight Four: India jumped out at me from a charity shop shelf recently and I was delighted to pick it up and add to my Ladybird travel collection. Originally published in 1960, Flight Four sees Alison and John again accompany their father on a business trip, but this time to India. Their father has business in Bombay to start with, so that is where they head on a luxurious Air India flight, stopping in Rome on their way. Once again there is no mention in the book of Alison and John’s mother, or any other family members that they might be leaving back home. 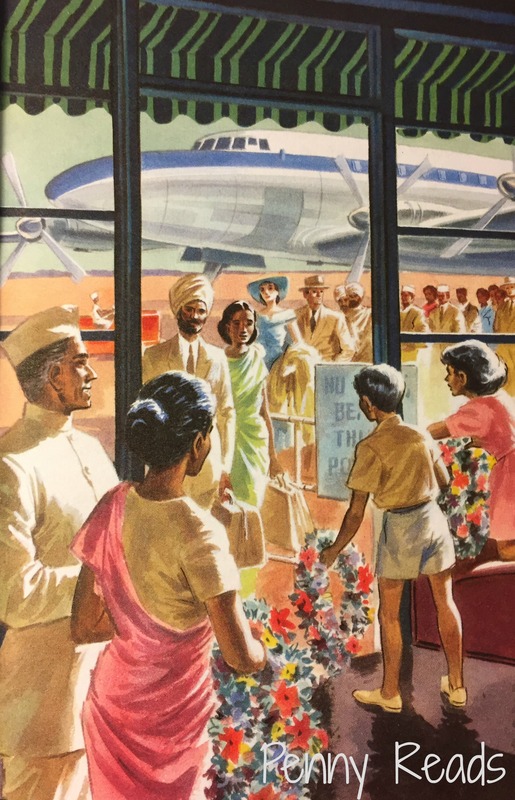 Not only do Alison and John start to experience Indian hospitality on the Air India flight over, but they are also charmed to be welcomed at the airport by the Chand family (Mr Rand Chand being a business contact of their father’s) who greet them with traditional garlands of flowers which their father placed around their necks. They spend a week in Bombay where they stay with the Chand family and in this time were shown around the city as well as the surrounding countryside. They also became familiar with the size of India and the feel of the country. Once their week in Bombay was up they bid farewell to the Chand family and boarded a second flight to the smaller city of Aurangabad where their father has some time sightseeing with them. They then take the train to their father’s next place of business – Agra. However, it is obvious that the children and their father are travelling in luxury on this business trip as it’s not a traditional hot and dusty Indian train, but instead a sleek new one with air conditioned carriages and a separate dining car. As well as Agra’s old fort Alison and John were also taken to see the Taj Mahal, before heading on to the Indian capital Dehli, where they father had to spend another week on business. This isn’t the end of their trip though as Dehli is followed by Jaipur, Chandigarh, Kashmir and the Himalayas, Benares, Darjeeling, the Ganges, Jorhat, Calcutta, Madras and Trivandrum. 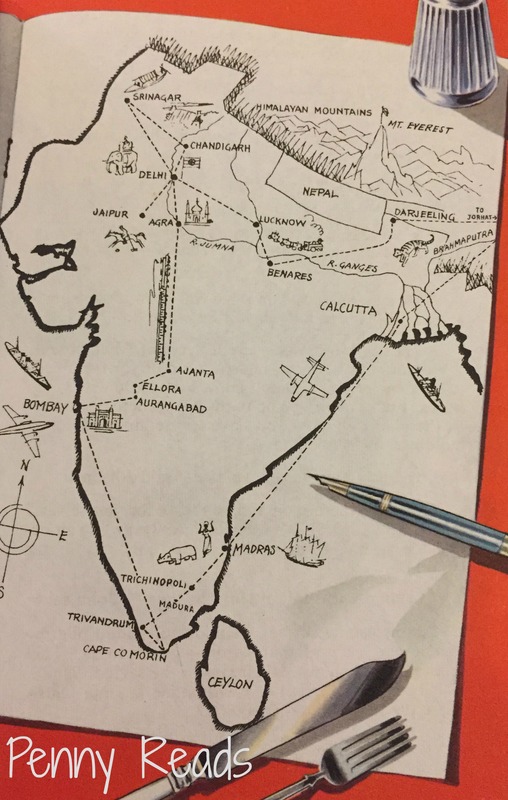 At one point the children ask their father to draw a map of India showing all the places that they have been to, and when he does so you realise just how much of the country they have covered. They were exposed to a huge amount of Indian culture and as well as visiting historic sights also got to see everything from tigers and elephants through to tea plantations. Like in Book Three, the journey felt a little bit contrived. Whilst I fully appreciate how much Alison and John must have learnt whilst on their travels with their father, I am also left wondering just how realistic a trip like this would have been. Would a father have taken his two children on such a long business trip with him back in 1960? Was this because their mother was no longer on the scene for some reason, or was she left at home with other children? Maybe I need to go away and do some more reading up on Alison and John and just why they travelled so much with their father. If you want to read about other books in my Ladybird collection then please make yourself a cuppa and head over here. This post originally appeared on Ladybird Tuesday on Being Mrs C.